For the college, documenting, viewing and sharing milestone moments has been facilitated through the use of our Digital Asset Management software. Dean of Information and Learning Technologies, Brad Tyrrell spoke to us for our case study. Here he explains the difference ResourceSpace has made in keeping users connected: "Parents, students and staff upload particular photos or videos they've taken from events around the college. The difference it makes is that parents actually get to see what happens at school; they can login and download photos themselves at full high quality." Students are also able to browse photographs and videos from their friends and peers without having to commit to downloading each file: "Before ResourceSpace, you couldn't just view the photos. You need the web interface just to browse because the kids don't want to download them all the time. It's an easier way to share photos without them having to be downloaded." As an institution that deals with the privacy of young people, the authority to review, approve and filter content is essential for staff. Being able to monitor what is seen and by who is one of Brad's key requirements from our software, saying "Before ResourceSpace, we couldn't control who could see assets. We couldn't deal with outside access to our parents or our students without exposing content in ways that we didn't want it to be exposed. Now, we choose who can see those photos, I can control that via my user groups. And that's probably the greatest difference from any of the other products out there … controlling the fact that nothing goes live unless I make it live." 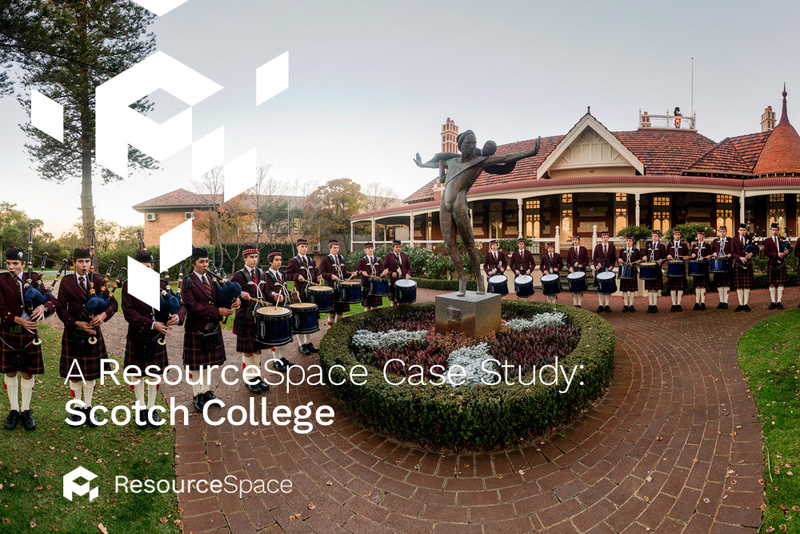 To read more about how ResourceSpace is bringing people together at Scotch College, you can download the full case study here. For Brad and the team, ResourceSpace has made their facility the envy of other educational institutes - "I've had a lot of schools to contact me asking… how do you do it?" ResourceSpace encourages groups to contribute to one central hub, and will allow you to categorise files in an entirely new way. Start your free trial of ResourceSpace today to see how much easier it is to manage and share your assets digitally, or to talk to the team further about the benefits of using a DAM system, simply get in touch.